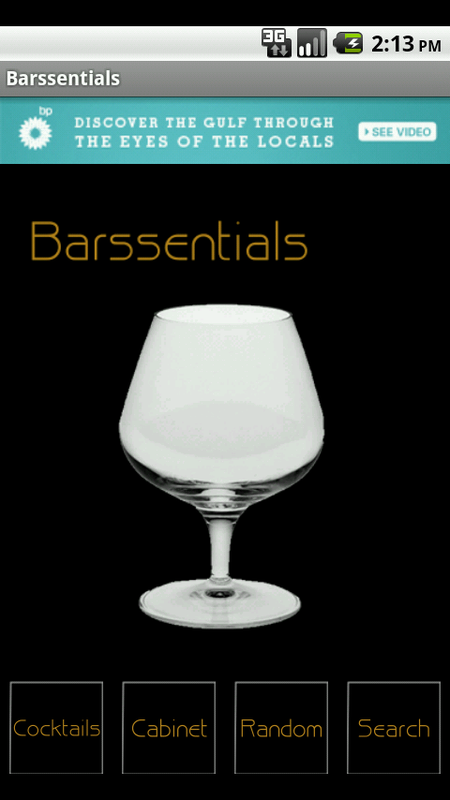 Whether you're entertaining guests, throwing a party, or just feel like a cocktail in the comfort of your own home, the Barssentials Drink Guide can help you get more out of your home's liquor cabinet. Recipe books make for a nice coffee table decoration but their usefulness is limited when you find you don't have the necessary ingredients to make the cocktails. Web sites dedicated to cocktails have their problems as well, even beyond ease of use. Most cocktail web sites don't have our level of ingredient to recipe matching. They also inflate their recipe counts by having the exact same drink listed dozens of times with different names. We pride ourselves on QUALITY recipes. This is why the Drink Guide was created. 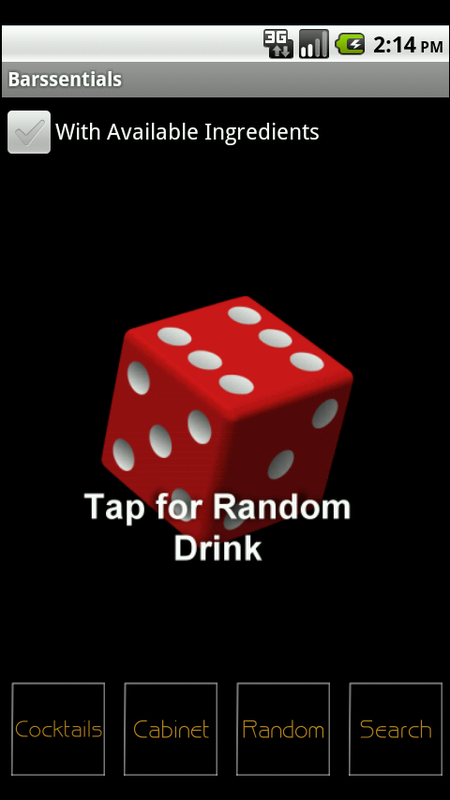 When you first open the application, you will see the full list of cocktails stored in the Drink Guide. Select a name from the list to see the recipe as well as what type of glass to serve it in. Not everyone has a full bar in their own home so use the ingredients feature to mark both the alcoholic and non-alcoholic items you have in your bar or kitchen. 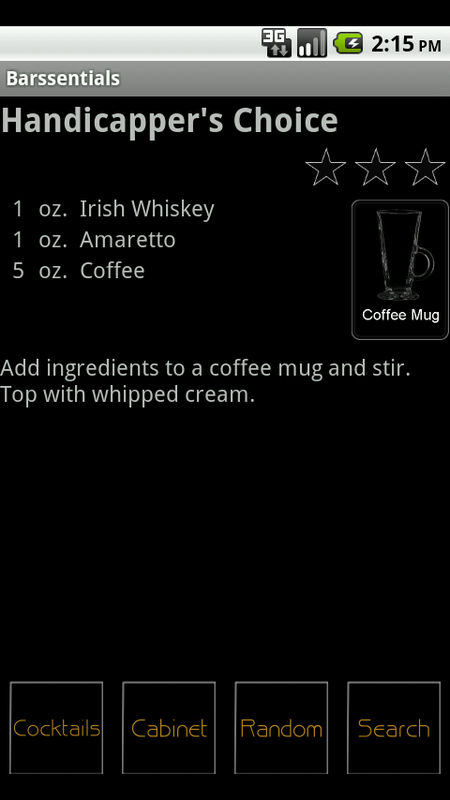 Once that is done, select the option to only show cocktails that can be made with the ingredients on hand.